The global cognitive analytics market was valued at USD 2.8 billion in 2017 and is anticipated to grow at a CAGR of 37.3% during the forecast period. Cognitive analytics uses intelligent technologies such as semantics, artificial intelligence algorithms and numerous learning techniques namely deep learning and machine learning to reveal connections, patterns and collocations from large amount of unstructured data. Cognitive analytics is used in businesses to gain actionable insights from large volumes of information and make effective decisions in real time. Implementation of cognitive analytics enhances enterprise knowledge, improves competitive positioning and offers a means for personalized customer service. Cognitive analytics finds applications in diverse industries such as transportation, hospitality, retail, BFSI, and education among others. The increasing need to gain actionable insights from large amount of data, and growing volume of unstructured data primarily drive the growth of the Cognitive Analytics Market. The increasing adoption of real time analysis for increasing efficiency of business processes further supports market growth. The growing trend of BYOD, IOT, artificial intelligence, and machine learning fuels the market growth. The rising adoption of cognitive computing technology, and advancement in analytics technologies is expected to promote then Cognitive Analytics Market growth during the forecast period. Other factors driving the market include growing implementation of cloud technologies, and increasing adoption by small and medium sized businesses. Growing demand from emerging economies, and technological advancements are factors expected to provide numerous growth opportunities for Cognitive Analytics Market during the forecast period. The global cognitive analytics market is segmented on the basis of component, deployment model, organization size, end-user, and region. Based on component, the market is segmented into software, and services. Software segment dominated the global market in 2017 owing to increasing demand from large enterprises to improve business efficiency. On the basis of deployment model, the market is segmented into on-premise, and cloud-based. The organization size segment is categorized into large enterprises, and small and medium sized businesses. The large enterprises segment dominated the global market in 2017 owing to growing demand from BFSI, and healthcare sectors. The end-user segment is divided into Banking, Financial Services, and Insurance, Healthcare, Transportation and Logistics, Manufacturing, Retail, Energy, and others. 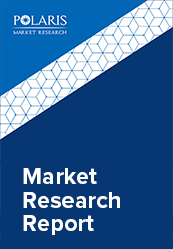 The cognitive analytics market comprises a detailed geographic distribution of the market across North America, Europe, Asia-Pacific, Latin America, and MEA. North America is further segmented into U.S., Canada, and Mexico. Europe is divided into Germany, UK, Italy, France, and Rest of Europe. Asia-Pacific is bifurcated into China, India, Japan, and Rest of Asia-Pacific. North America accounted for the largest share in the Global Cognitive Analytics market in 2017 owing to growing demand from healthcare, and defense sectors. The leading players in the cognitive analytics market include International Business Machines Corporation, Cisco Systems Inc., SAS Institute, Nuance Communications, Microsoft Corporation, Oracle Corporation, Amazon Web Services, Google LLC, Intel Corporation, and Narrative Science among others. These leading players in the market are introducing innovative products in the market to cater to the consumers. Global players are entering new markets in developing regions to expand their customer base and strengthen market presence.